IBM FlashSystem® 900 all-flash storage arrays accelerate applications, delivering Tier 0 performance with consistent low latency and inline hardware data compression. This high-speed, reliable, and cost-effective system supports your most demanding applications such as online transaction processing, analytics, databases, virtual desktop infrastructures, technical computing applications, and cloud environments. Powered by IBM FlashCore® technology, FlashSystem 900 delivers real-time insights, empowering your enterprise to quickly make data-driven decisions to gain competitive advantage. IBM FlashCore technology and IBM-enhanced 3D TLC speed insights with hardware-accelerated architecture with NVM access, IBM MicroLatency® modules, and advanced flash management capabilities. The new generation FlashSystem 900 uses inline hardware compression to build on existing space efficiency and save power compared to traditional hard disk drive and solid-state disk solutions. 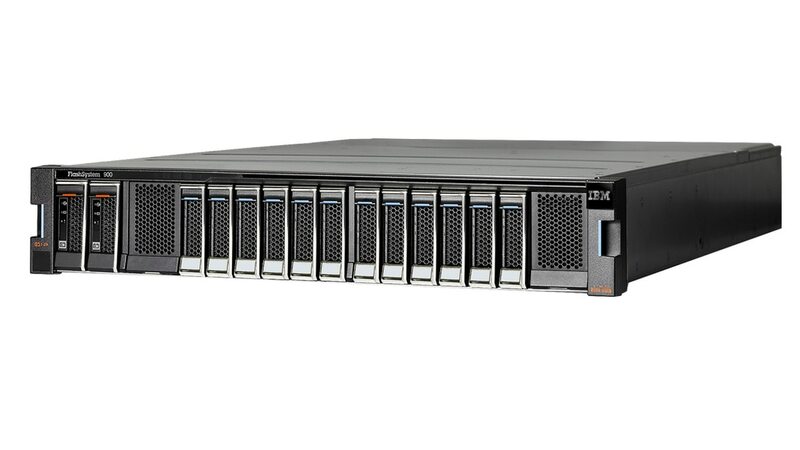 FlashSystem 900 delivers five-nines reliability to your environment with fully redundant components, two dimensions of RAID, and advanced flash management.